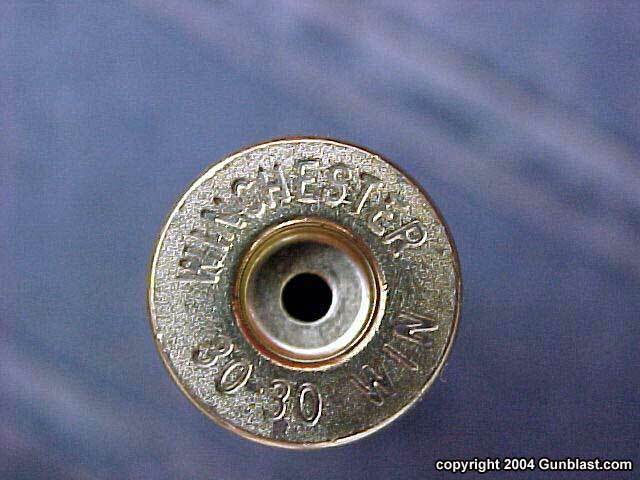 In just a few months from this writing, it will have been 110 years since Winchester introduced what would become the most popular American deer hunting cartridge of all time; the .30 Winchester Center Fire (WCF), later to become better known as the .30-30 Winchester. While the new cartridge boasted pretty impressive velocities for the time, it most likely would have faded into obscurity had it not been introduced in Winchesters then new Model 1894 lever action rifle. If there has ever been a more perfectly matched sporting rifle and cartridge than the Model 1894 and the .30 WCF combination, I have not heard of it. One could present the argument that the cartridge became so popular because of the rifle in which it is chambered. The .30 WCF does owe much of its success to the Winchester and Marlin lever guns in which it is chambered, but that still does not explain its popularity. The Model 1894, later to be called the Model 94, has also been chambered for several other cartridges that are just as or more powerful than the .30-30, such as the .38-55, the .32 Special, .32-40, and others. 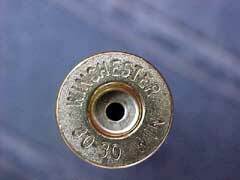 These other cartridges have not enjoyed a fraction of the popularity of the .30 WCF. Other cartridges that were contemporary with the early years of the .30 WCF, such as the .303 Savage and .30 Remington, which bettered the ballistics of the WCF in the Savage and equaled it in the Remington, have long since become obsolete. Yet the .30-30 charges on 110 years later. Todays shooters enjoy a tremendous choice in rifle cartridges. There are several thirty caliber cartridges currently chambered by rifle manufacturers that greatly exceed the ballistics of the old .30-30. There are thirty caliber magnums, short magnums, shorter magnums, ultra magnums, and a few standard cartridges such as the .30-06 and .308 Winchester, the latter two owing much of their success to being military cartridges. What got me to thinking on the subject of the old .30-30 occurred a couple of weeks ago at a pawn shop in a town about thirty miles from home. I was looking at a Model 94 carbine that had been greatly mistreated when an expert happened by to inform me of what a useless cartridge the .30-30 is. Seems that he had owned one a few years earlier, and could not manage to hit anything with it. He was sure, however, that the cartridge was totally inadequate for deer hunting. It has been a long-standing policy of mine to never argue with idiots and women, and he fell squarely into the first category. This incident started my mind to recalling that I had heard similar experts all of my life telling me that the old .30-30 was inadequate as a deer rifle. Some seemed to be of the belief that the bullets would just bounce of deer and tumble harmlessly to the ground. Others had shot a running deer somewhere in the leg, and the animal did not lay down and die right on the spot, so they concluded that the rifle and cartridge were at fault. I have known many hunters who have bought a new .30-30, carried it deer hunting, either missed or wounded an animal, and went immediately to trade it in on a new .243 or some other high-stepping number. I suppose that it is easier to blame the gun than to admit to being a lousy marksman. The trouble with their theory is that millions of Winchester and Marlin rifles have taken countless numbers of deer, hogs, and black bear shooting the old .30 WCF, and will continue to do so as long as hunters go to the woods after game. Many seasoned hunters who get their winters meat every year rely on the old .30-30, and with good reason. It works, and it works well. I am constantly shooting other peoples rifles in fulfilling my duties here at Gunblast.com, but I make a point to take a .30-30 lever gun into the woods at least a few days each year. The attributes that make these guns so popular begin with their handling qualities. A lever action carbine handles like a good bird gun. It comes to the shoulder without thinking about it, and points naturally. The guns are light and handy, easy to carry and easy to shoot. The .30 WCF in a Marlin or Winchester carbine has relatively light recoil, yet plenty of power to cleanly and quickly dispatch game, that is of course unless one is an "expert" that knows that the old cartridge is too weak to do the job. The trouble is, deer do not know any better, and go ahead and quickly expire when a round or flat nosed thirty caliber bullet traveling along at around two thousand feet per second slams into their vital organs. Last year, my new son-in-law decided to go deer hunting. He had never been hunting before, so one afternoon we decided to head out into the woods deer hunting. Having no rifle of his own, I grabbed a lever action Marlin off the rack, loaded the magazine, and we quickly went over the manual of arms for that particular firearm. I placed Sebastian in an elevated stand overlooking a small clearing and a section of power line, and I went about a quarter mile through the woods away and climbed up into another. No sooner than I had dozed off for a nap when I heard him shoot. In about two seconds I heard him shoot again. I figured he had missed, and resumed my efforts to enjoy a comfortable autumn nap. Soon he appeared in a full run, heading my direction. He had two deer on the ground, and needed my assistance in getting them back home. Seems I failed to explain that deer hunting doesnt necessarily mean that we are going out to actually kill deer! I measured the distance from his stand to where the deer laid, and it was just over 180 yards. Two deer, two shots. Not bad for the first time hunting. 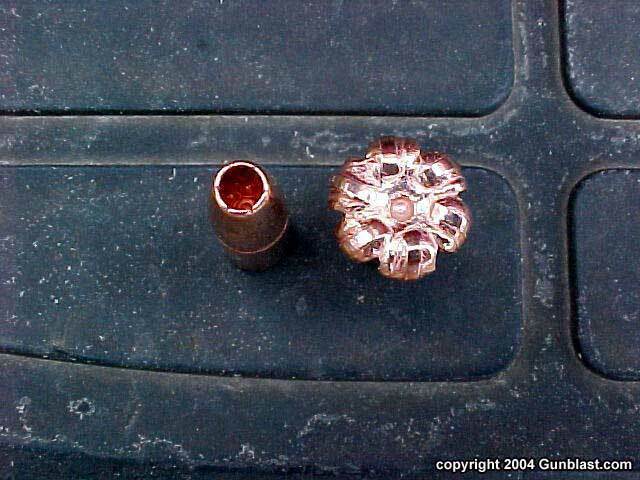 The ammunition that he used I had handloaded with the Barnes 150 grain flat point X bullet. These have quickly become my favorite bullet for the .30 WCF. They have a deep hollowpoint and were designed to expand at thirty-thirty velocities, yet still penetrate like theres no tomorrow. I have never recovered one from a game animal. 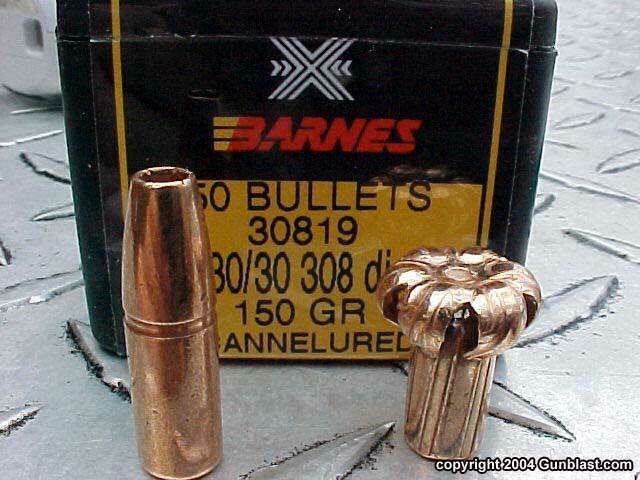 They kill like no .30-30 bullet that I have ever seen. On one of the deer, Sebastian shot it in the chest, and the bullet exited the rear ham on the opposite side, after traveling the length of the deer through bone and muscle. The other deer had turned to leave, and he shot it just behind the ribcage, with the bullet exiting the deers skull, leaving a sizeable crater. Complete penetration and excellent bullet performance, at over 180 yards, from a cartridge that should have been obsolete a century ago with the introduction of the .30-40 Krag. Neither Sebastian nor the two deer knew that the old .30-30 was too weak and inaccurate to kill at that range. This has been typical of my experience with that bullet, and I just loaded up sixty more rounds of the stuff this afternoon. Another good thing about the old thirty-thirty is that just about anywhere that sells ammunition in North America will have a few boxes on hand. 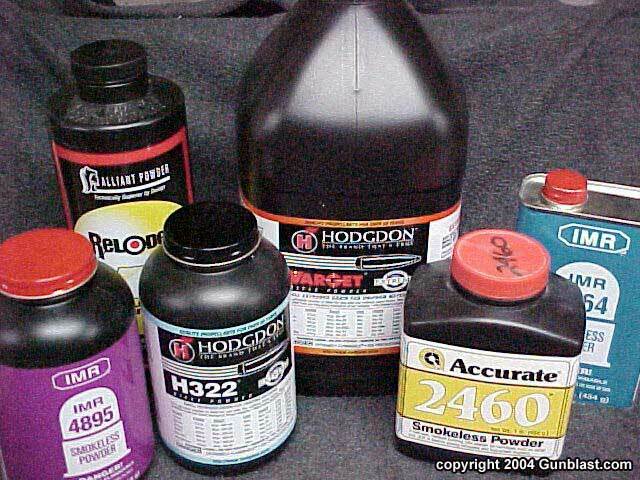 The ammo makers have gotten pretty good at making the ammo for the .30-30, with over a century of practice, and most any brand of ammunition will do the job. Power Points, Core-Lokts, and Silvertips have taken deer year in and year out for hunters who do not load their own ammo. The carbines and rifles chambered for the cartridge are plenty accurate for big game hunting, and some of these leverguns are surprisingly accurate, shooting right along with a good bolt action rifle, and handling much better than most. While the .30-30 has been chambered in most all other action types, including pistols, it lives and breathes in the levergun. 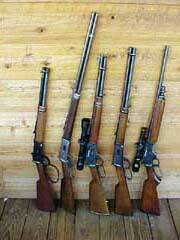 I must admit that I have an unusual fondness for the lever action rifle. It is all about the handling. Nothing carries as well, nor points as naturally. I am somewhat happy that many shooters sell off their leverguns for "better" weapons. It makes the Winchesters and Marlins plentiful on the used market, and therefore very affordable. I have several, but never quite enough. Just three weeks ago I acquired another Winchester at the Tulsa gun show. It is an 1894 Model rifle that was built in 1897, and is chambered for the good old .30 WCF. It has a half octagon/round barrel. Most of the finish is gone, but the bore is pristine! I have several modern rifles that have superb scopes and sport much better ballistics, but they have nothing like the character of that old Winchester. It will go hunting with me in a few days. Looking at the ballistics of the .30 WCF, most new shooters are unimpressed, to say the least. However, the cartridge and the guns are more than the sum of their parts. These rifles impart a different experience to the user. Somehow, the whole hunting experience is better with a thirty-thirty levergun. It defies explanation, but the meat tastes better and the trophy looks better on the wall when taken with one of these old fashioned and often derided leverguns. Some readers will understand what I mean, and others will think that I am nuts. However, in the hands of a good hunter, the .30 WCF kills the game every bit as dead as the latest and greatest ultra short fat belted magnum. To quote my friend and fellow Shootist Mic McPherson, who by the way is a genuine, credentialed, and well-published ballistics expert: "Those who cannot cleanly dispatch their game using a .30-30 are either shooting too far, hunting inappropriate (too large) game, or are simply incompetent." I think that he summed it up rather well. The .30 Winchester Center Fire (.30 WCF), commonly known as the .30-30, serves today's hunter as well as it has served for generations. Chambered for a wide variety of guns, author considers the .30-30 most at home in a lever-action rifle. Jeff's .30-30 leverguns include (L-R): Winchester Trapper; Winchester Model 1894 rifle, built in 1897; Marlin Model 336; Winchester Model 94 Carbine; Marlin Glenfield Model 36. 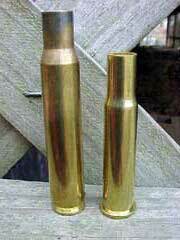 The .30 WCF case (right) compared to the .30-06. The '06 is only one of the more modern thirty-caliber cartridges available to today's hunter, but few cartridges are better suited for their purpose than the .30-30 is suited for deer-sized game at moderate range. There are a great many powders available for handloading the .30 WCF. Shown are a few of the author's favorites. 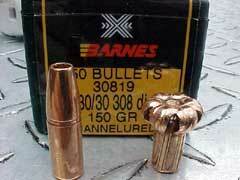 Jeff's favorite bullet for the .30 WCF is the Barnes X Bullet. Designed to expand reliably at moderate velocity, the Barnes X performs perfectly in the .30-30.